We partner with rural families in Central America and Mexico who are living in poverty. Our goal is to help families develop the skills to work themselves out of generational poverty. 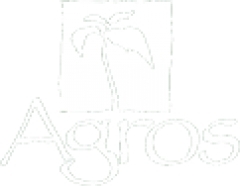 Agros International—over a seven to ten year timeline—comes alongside families to ensure their basic food security and nutrition, and help them launch successful agro-businesses so that they can sustainably generate income above the poverty line. As we identify families to join our projects, we engage them in the processes of community planning and creating a democratically elected governing structure. Women are empowered to take on positions of leadership, which promotes stronger family dynamics. Over three decades we have forged strong strategic alliances and partnerships with a variety of national and international development organizations. These alliances, along with the Agros international and U.S. staff, ensure a strong commitment to the success of Agros' villages. We are a learning organization and we seek to continuously improve. We invite peer to peer evaluation from leading international health, financial and development organizations and have put in place rigorous test and measurement methodology so that we can assess and improve our work on an ongoing basis. Our goal is to invest in self-sustaining, resilient families and communities that are not dependent on external aid.